With over 20 years in sales, I am blessed to love what I do! I was born and raised on the Central Coast and have chosen to raise my own kids in this wonderful community. 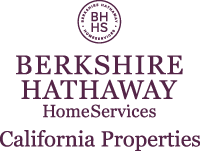 I work as a professional real estate agent under the franchise of Berkshire Hathaway Homeservices, and feel very fortunate to be part of such a prestigious team. I hold a Bachelor of Science degree in Business Administration from San Diego State University. I am currently a member of the Santa Maria Association of Realtors®, the National Association of Realtors®, the California Association of Realtors® and I am a member of the National Association of Business Women. I hold a certificate for “First Time Buyer Specialist”, “Real Estate Digital Marketer”, “Accredited Buyer’s Representative” and I have recently completed the “GRI” designation (Graduate Realtor Institute). I am proud to say that Only 2.39% of all CA Real Estate Licensees hold the GRI designation! Are you in the market of selling or purchasing a home and you want someone that you going to be able to represent you with integrity and market your property in our new digital world? I have been involved in buying and selling real estate myself personally for close to 20 years. Since I have experience in investment properties, remodeling, buying and selling during all type of markets – I understand the stresses that come along with it and fully commit myself to helping you with a smooth transaction. Are you deciding to purchase your first home? Are you looking for your dream home to handle your growing family? Need to do a 1031 exchange? Are the kids grown and gone and now its time to downsize? It doesn’t matter what your circumstances are – I am here to help and guide you thru the process. As a FULL time Realtor®, I will dedicate my time and attention to your transaction. I have established successful professional relationships with lenders, home inspectors, escrow agents and a variety of other preferred partners. I pride myself on strong work ethics, honesty, integrity, attention to detail and the ability to aggressively market thru new technology. I am a true professional and would love the opportunity to work with you in helping your real estate dreams come true.